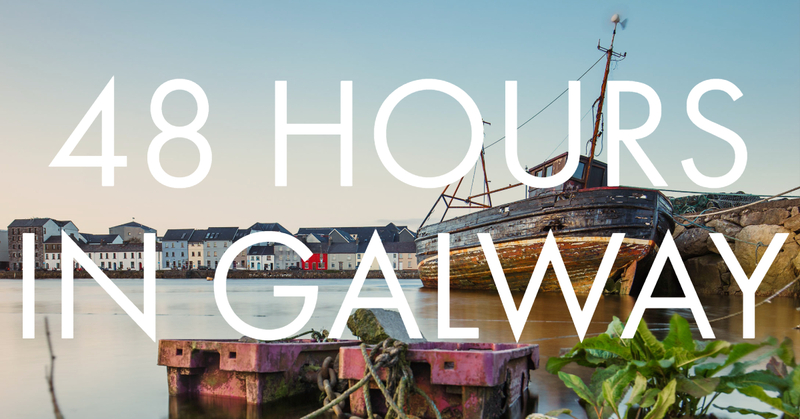 If you’ve been planning to head Wesht to experience the picturesque landscape, the buzzing nightlife or to immerse yourself in the culture and heritage, you can jam a whole lotta activity into 48 hours. Top tip: Pack an umbrella and a pair of sunglasses because, let’s face it, no one can predict the weather in Gaillimh. First things first, drop off your bags. 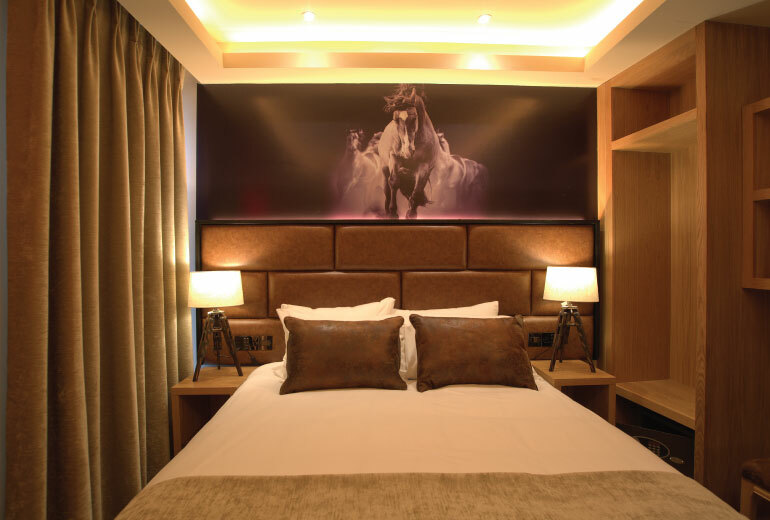 Check into your boutique room at The Residence Hotel, which is conveniently located in the heart of the Latin Quarter. Surrounded by some of the best bars and restaurants in the city, you’ll be submerged into Galway’s culture and electric atmosphere. While the hotel’s comforts include comfortable beds, gorgeous interior design and Netflix in your room, that will have to wait until later. There are pints to be had! Make your way to Kasbah Wine Bar, located just a hop, skip and a jump from your hotel door. Huddle in a cosy corner or dine al fresco to watch the world go past. 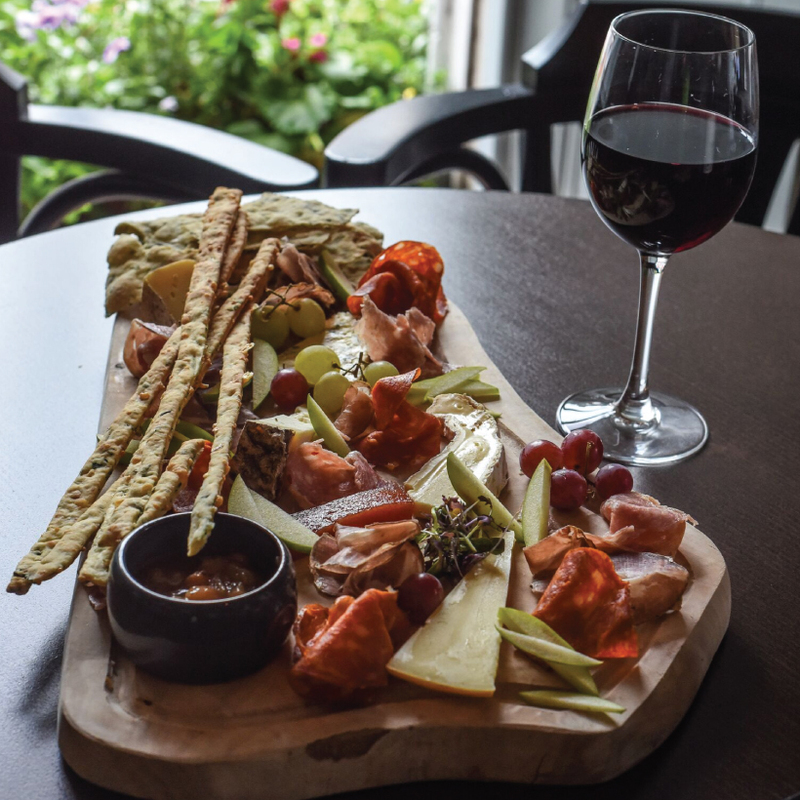 Choose from cheese boards and tapas sharing plates galore while you imbibe on some organic, biodynamic and vegan wines from around the world. Once you’re sufficiently stuffed, head next door to Tigh Neachtain for an authentic pub experience. Owned by the Neachtains since 1894, the pub’s history spans generations. Grab a pint of Guinness, a seat beside the fire and enjoy some ceol traidisiúnta. After a good night’s sleep, it’s time for brekkie. Head to Dela Restaurant to enjoy a brunch like no other. 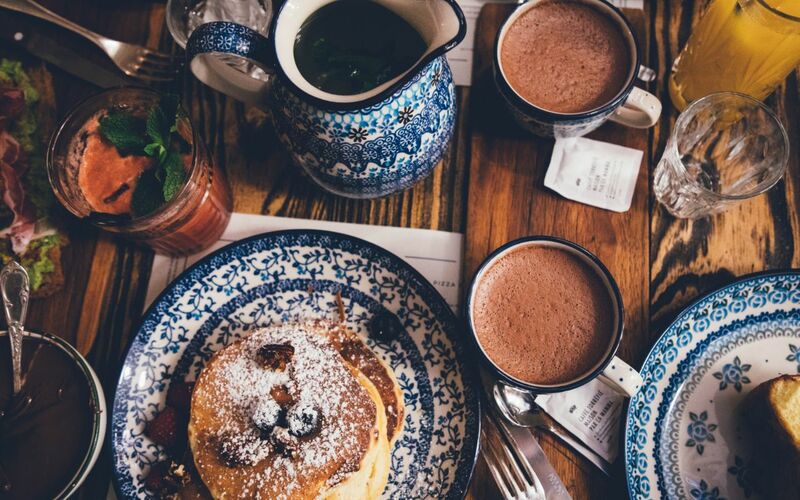 Offering bacon pancakes, avocado with poached eggs, a brunch burrito, a full Irish breakfast and everything in between, this is the place for brekkie. Lug your bags to Hotel Meyrick in Eyre Square to check into your luxurious room at the four-star hotel. 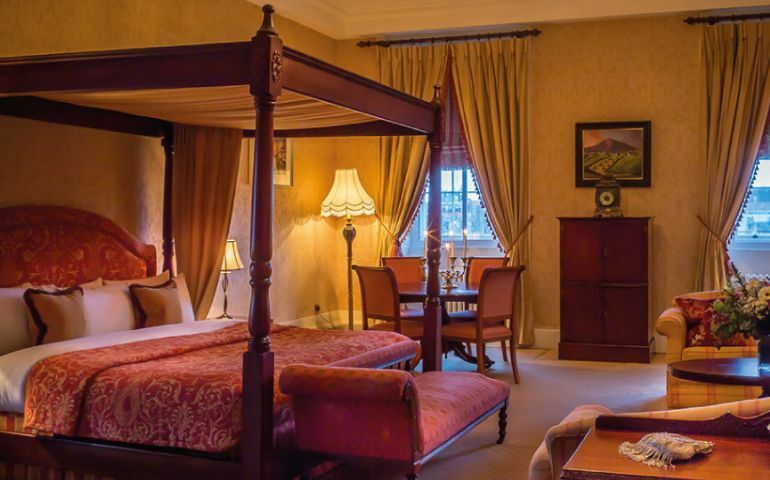 Resist the temptation to spend the day in your room, soaking up the comfort in the interest of taking a leisurely stroll through the streets of Gaillimh to the famous street market. Peruse through the stalls, sampling the vast variety of food from all over the globe while admiring some beautiful crafts. If you head to the markets, you just have to get yourself a Boychik donut. It’s the law. From the Spanish Arch to Eyre Square, spend the day taking in the picturesque beauty of the city. Weave in and out of the many stores that line the streets – Aran Sweater Market and Claddagh & Celtic Jewellery are essential stops to pick yourself up some traditional mementos. A pit stop in Charlie Byrne’s Bookshop is also crucial. 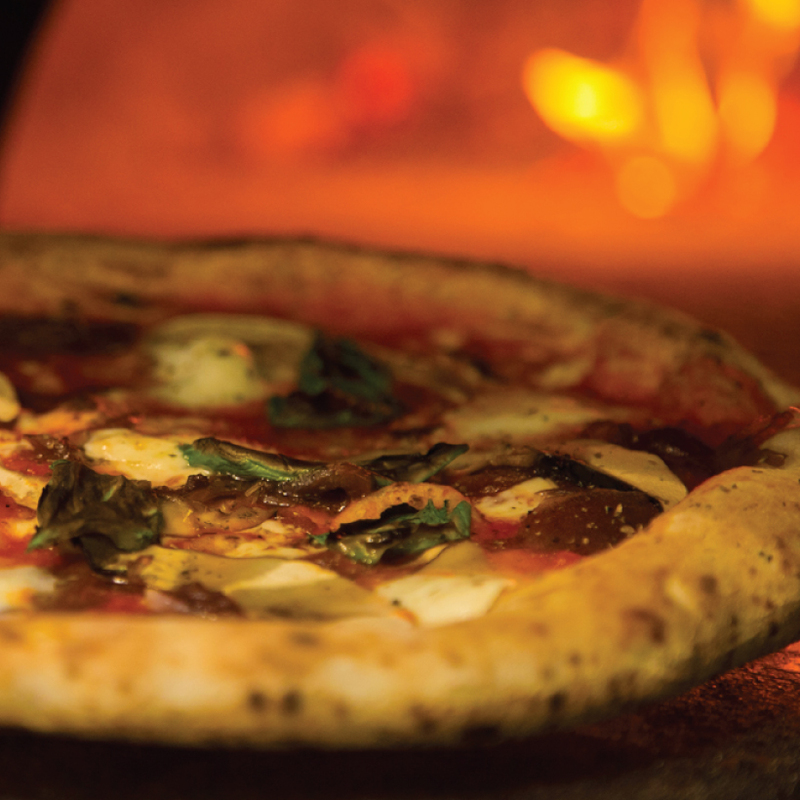 The Dough Bro’s Wood Fired Pizza is a much-loved favourite of many Galwegians. The restaurant’s beautiful interior and upbeat atmosphere perfectly compliment the delicious pizza. They even have their own brewed beers, so it’s the perfect spot to kick off your night. Good tunes, good food, good beer – paradise. Galway’s West End is home to some of the best bars and live music venues in the Wesht. Pub crawl, anyone? There are plenty of trendy pubs to choose from; Massimo, The Blue Note, Taylor’ Bar and Beer Garden, Carroll’s (to name but a few), all of which are equipped with a great atmosphere, good music and fantastic beer gardens. The ideal way to end your last night in Galway is jumping around to some live tunes at the Róisín Dubh. This well-established venue needs no introduction. Whether it’s a comedy show, a silent disco or performances from the best national and international acts around, the Róisín won’t disappoint. Up and at ’em! Savour Hotel Meyrick’s breakfast in your room or avail of No. 15 on the Square with a full buffet breakfast and open kitchen before you start your day. No visit to Galway is complete without a trip to Salthill. You can hop on a bus or make the journey by foot (weather permitting… so get the bus!). 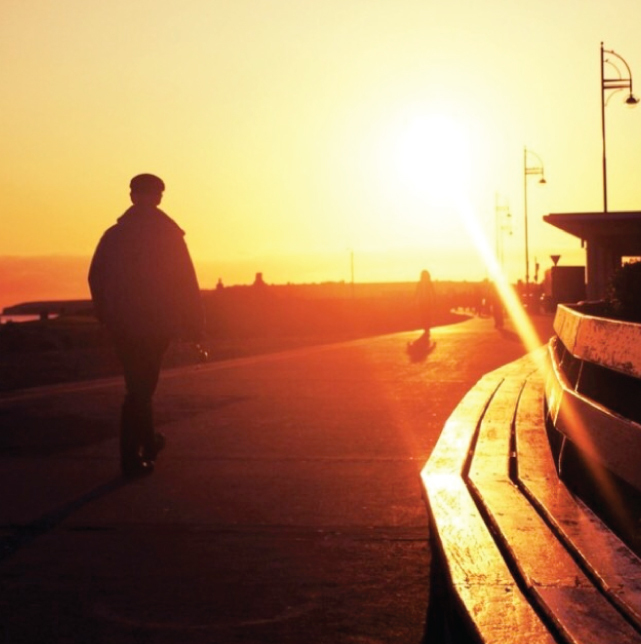 Pop into Ground & Co. for a freshly brewed coffee and take a walk along the beach, down the famous Salthill promenade. At the Blackrock point, it has become a long-standing tradition to kick the wall before you turn back. Round off your trip with a visit to O’Connor’s famous pub. Established in 1942, this pub is steeped in history. It even made an appearance in Ed Sheeran’s ‘Galway Girl’ music video, with Saoirse Ronan sampling the Guinness! Enjoy a live trad music session in the warmth of O’Connor’s and feel instantly at home. You’ll find it hard to tear yourself away for the journey home.